Pulsar APX models are an excellent choice for those who enjoy vaping herbs and/or waxes on the go. Incredibly simply to clean and use with five temperature presets, making it easy and swift to use while traveling. There is no risk of combustion in the 0.35 gram ceramic chamber which will produce clean, flavorful vapes each time. A 1600mAh battery powers the unit to provide robust vapor, making this a great choice for users who crave versatility and quality. A popular compact 2-in-1 wax and dry herb APX vaporizer features a ceramic chamber, temperature control, and a powerful battery for vaping on the go. Pulsar Vaporizer company believes that every person is unique and should have a vaporizer that aligns with their individual needs. Some people prefer navigating city streets with a vape in tow, stealthily enjoying their favorite materials on the go. Some simply enjoy tailoring the settings to give them what they need according to their mood that day. Others want sleek, sophisticated devices, and some choose in-your-face vapes that can't be ignored. Wherever you fall on that spectrum, Pulsar has an APX vaporizer model for you. Using the latest technology and surprisingly affordable prices, this brand is sure that you can find a vape that offers exactly what you need. The APX vaporizer is an ultra compact, lightweight handheld that measures only 4 inches in length. It fits comfortably in both your hand and your pocket so that you can vape both waxes and dry herbs on the go. Allowing you to choose from five preset heat settings between 356 to 428 degrees Fahrenheit, you can heat the Pulsar APX to your desired heat setting in only 40 seconds. The LED lights on the casing display both the temperature and the battery life. The APX includes a 0.35 gram ceramic herb chamber that delivers unmatched flavor and no risk of combustion. You can also vape concentrates by using the wax tank instead, which fits perfectly into the ceramic chamber and is included in the box. A powerful 1600mAh lithium-ion battery promises robust vapor and long sessions. Enjoy a full 6-month warranty from Pulsar with any APX model. This warranty covers the batteries, chargers, and accessories included in the kit if they have been found to be defective when coming from the manufacturer. It does not cover regular wear and tear from use, nor does it cover accidental dropping, submersion in water, neglect, or broken parts from misuse. Overall, the Pulsar APX Wax Vaporizer fits the claim that "big things come in small packages." It is tiny for what it can do and is powered by a short, but remarkably strong, 1100mAh battery that provides a long vape session every time. Its triple coils and heating chamber provide unmatched flavor, and with a 5-second heat up time, you can be vaping on the go in no time. The vaporizer is perfect for those who need an easily concealed vape that doesn't sacrifice power for size. Price - at a mere $60.00 to purchase, the Pulsar APX Wax is moderately and competitively priced. For its robust power and exceptional battery functionality, coupled with its coils, it is quite the steal. Vapor Quality - the vapor production of the wax vaporizer is outstanding. It delivers incredibly clean and flavorful vapes. This is due in part to its triple coil, pure quartz atomizer that has a larger surface area and effectively distributes the heat evenly. Pair that with the ultra-strong borosilicate glass mouthpiece and you have a pure hit every time. 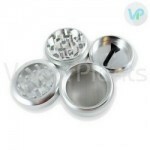 The glass attachment works as a splatter guard to stop any of the hot concentrate from being inhaled or popping against your lips, and four small air holes allow for a more comfortable vape as well. Guarantee - secured by a 1-year warranty, you can feel comfortable with your purchase of the Pulsar APX knowing that you can exchange it for up to one year if it doesn't live up to your standards. Prep Time - taking only 5 seconds to heat up to needed temperature, the Pulsar APX Wax is ready in no time. It is simple to load and comes with everything you need. Portability - measuring only 3.75 inches in height, you can easily conceal the APX for concentrates in the palm of your hand while you are out and about. Ease of Use - this dab vaporizer is easy to fill and features a small silicone jar for storing your concentrates as well as a metal wax tool for simple loading, furthering the convenience. Heating and Temperature Regulators - because of the aforementioned triple coil quartz rod atomizer and pure quartz chamber, the heat is evenly and efficiently spread out to produce impressive vapes. Power Supply - powering the Pulsar APX Wax is a robust 1100mAh battery that works harmoniously with the heating element to produce remarkable vapes. It can be charged in only an hour and a half via a convenient micro-USB port, and at full charge, which powers the vape for an hour an a half of usage. Grind your herbs finely, or prepare your wax by collecting a small amount with the included dabbing tool. With the device turned off, snap off the mouthpiece to access the screen and ceramic chamber. Fill the oven with dry herbs, or insert the wax chamber and fill it with concentrates. Click the power button 5 times in rapid succession to turn it on. Expose the quartz heating element by removing the glass attachment. Prepare your concentrate by taking around 0.1 grams and applying it to your included dab tool. Carefully place the dab onto the coils, taking extra care not to touch the delicate coils with the metal tool. Turn the vape on using the 5-click method. Allow 5 seconds for it to heat up. Q: Should I charge the APX before I use it the first time? A: Yes. Fully charge it to help condition the battery to last longer so that it will not diminish too quickly over time. Q: How long does the APX take to heat up? Q: How do I change the screen on my APX? A: Unscrew the screen from its mouthpiece and place a new screen over the separation plate. Then, sandwich the separation plate with the other screen, followed by screwing the screen back on. Q: Can I clean my APX Vaporizer with a cleaning solvent or should I only be using the cleaning brush? A: You should only clean the APX with the included cleaning brush. Chemicals and solvents may damage the unit. Worth it, get it - Review by Guadalupe J. The vape is really smooth and flavorful and the smell is not really there at all, so it is easy for me to vape it on the go whenever I want to. This vape is definitely going to stick with me for a while and I don't even want to try any other vape out. I recommend the Pulsar APX vaporizer to everyone. Powerful and reputable - Review by Josephine A.
I am a first time vaper and was looking for something that was powerful and reputable while also being easy for me to learn my way around. This vaporizer was both. I love how easy it is to use and how long the battery lasts. I can go all day taking puffs here and there without worrying about the battery dying. When the battery does inevitably die, though, it is easy to charge and it only takes around an hour or so to do this. Go to vape - Review by Delbert M.
APX vaporizer has actually become my go to vape for every session that I engage in because I love it so much. 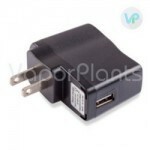 Cool vaporizer - Review by Jacob L.
It's a really cool vape. Lasting hits - Review by John N.
APX lasts for several sessions depending on how often you hit it and how much you vape at one time. This battery is also easy to charge up in a flash. It only takes around anywhere between an hour and an hour and a half in order to charge it up all the way. Incredible battery - Review by Luz A. The Pulsar APX vape has a fantastic battery life that I want to talk about it first because it is incredible. Powerful vaporizer - Review by Winnie S.
This vaporizer is great for anyone who wants to take their vaping with them on the go and wants a powerful vaporizer that can do just that. Portable - Review by Francine A. It offers you temperature control but is really easy to use so it’s a good way to get used to the idea of temperature control on a vaporizer instead of only using a single temperature design. The Pulsar APX vaporizer has a single button design and makes it simple to use on the go, letting me choose the temperature with just a few clicks as well. This vaporizer is ideal for taking with me on the go and has a really sleek design. I like that it looks so modern and that it is so easy to put in my pocket if I want to take it with me somewhere. 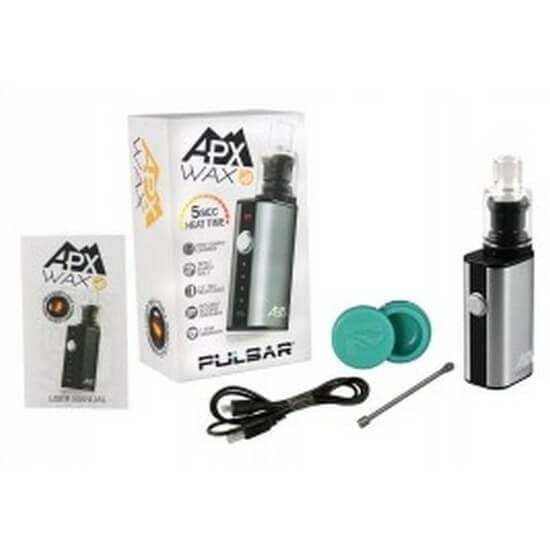 Recommended - Review by David A.
I recommend the Pulsar APX vaporizer to anyone who is wanting to get acquainted with a dry herb vape but has yet to do so. Easy to clean - Review by Frances L.
It is just as easy to clean as it is to use as well which makes me love it even more. Really simple - Review by Nancy C.
APX can go through two different fillings at a time, and the chamber is so large that this is really saying a lot about both the battery and the capacity of the Pulsar APX vaporizer. The Pulsar APX vaporizer is really simple to use and the chamber is easy to access. Great battery - Review by Martin C.
I love the Pulsar APX and its battery life. Great design - Review by Betty H.
This vaporizer has a pretty powerful battery. It can last me all day without me having to worry about having to charge it throughout the day, like I have to do with a lot of the other vapes that I have tried before. This one offers me plenty of versatility when it came to the design that I chose, and there were so many to pick from that it was hard to do. I think that's really thoughtful. I like the way it sits in my hand and feels really durable. It has a nice weight to it without it being uncomfortable. Best portables - Review by Weeds L.
The Pulsar APX vaporizer is one of the best portables I have yet to try, and I have tried a lot of them. Sits really - Review by Alvina M.
This vape sits really well in the hand as well and I do not have to worry about it being seen when I take it out of the house. Convection style - Review by Josephine M.
I prefer to have it on the highest setting so I am really glad that the Pulsar APX vaporizer is a convection style that only blows hot air instead of using a heating element that my herb touches directly. Great Temperature - Review by Kerry E.
I love that the heat up time is consistent no matter how high I set the temperature to go. I think the highest that it goes is 428F and the lowest is 356F degrees. Both temps offer their own benefits. Heats up in 40 seconds - Review by Elsie J. It's a good little dry herb vape for the price that I paid for it. It heats up pretty fast for an herb vape; most of them take a little past a minute to heat up, but the Pulsar APX only takes somewhere around 30 to 40 seconds to do so. Loving APX - Review by Richard C.
I love the Pulsar APX. Small size - Review by Ryan L.
It has a really great taste as well and offers a small amount of smell so I can take it with me in public. Because of its small size, I am able to hide it away in my palm without fear of it sticking out. When I bought it, I had a lot of options to pick from as well so that is awesome. Five different heat settings - Review by Robert F.
APX vape has five different heat settings that I can pick from. They range from 356-428 degrees. I can run it at the hottest setting with no fear and that's not something that I can say about a lot of vaporizers. One of the best vaporizers - Review by Alexis R.
The Pulsar APX vaporizer is one of the best vaporizers that I have ever used. It is an ultra durable vaporizer that provides true convection technology so that I never have to worry about my herbs combusting. Knowing that there is not a risk at all gives me confidence when I use it that no matter how hot the temperature is. I don't have to worry about wasting my materials. I like that I can pick my own temperature level as well. the battery doesn't last very long if you plan on using it often. Also, the button is starting to get loose feeling to it and I have only had this around a month. I do love it despite those problems. It makes smoking much easier on the lungs, not to mention it tastes way better. I've only used it for dry herb but the performance is amazing. I would definitely recommend but just note to be gentle with the button and keep the charger handy. I could not wait to take this out of the box, this is a all in one set! This is my first vaporizer and after postponing it for a while I finally bought it. The chamber is as expected but I don’t have anything to compare it to. Great customer service, thanks for the help! Great vaporizer pen - Review by Hanna L.
This has saved me a lot of time overall, load it, click it, vape it. Maintenance is not hard, just make sure to clean the chamber after done using. This way it is still hot enough for vaped material to just fall out without having to spend time stirring it up after when it cools down to clean. One charge lasts me an entire day, but not when a few people are using it an entire day, but USB port charge is easy to find when needed.